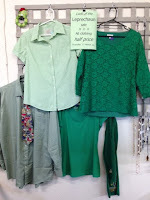 50% off ALL Clothing Sale - 1 day only! 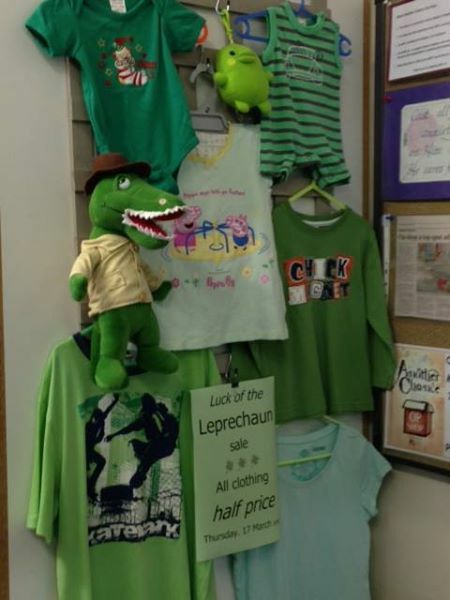 Another Chance Op Shop at Scullin shops will be hosting a 'Luck of the Leprechaun' sale this Thursday 17 March 2016 (St Patrick's Day), when all clothing will be HALF PRICE all day. One day only! And you're not restricted to just green clothing - any size, any colour, any tag colour - all HALF PRICE! Added bonus - we'll be open from 10am till 5:30pm (we normally close at 4.30pm). I have volunteered here over the last ten years (so I am not paid to say this) and I constantly hear customers say we are the cheapest in the Belconnen region. We offer a great range of children's and adult clothing, bags, shoes, kitchenware, manchester, books, toys and bric a brac at affordable prices.